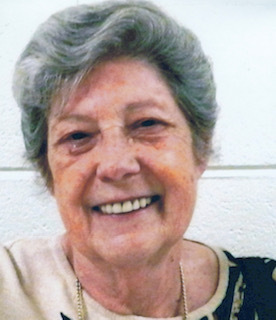 Dr. Linda Sinclair Jackson, 80, of Coldwater passed away February 6, 2019 at Baptist Memorial Hospital DeSoto. She was born on January 6, 1939 to Frank and Tharon Sinclair. She grew up in Bunker Hill, MS.
Linda moved to Coldwater in 1960 after marrying Denton L. Jackson II. She was a long-time educator serving as an instructor and the dean of women at Northwest Mississippi Community College. After Northwest, Linda began another career as the director of training and organizational development at Baptist Memorial Hospital. She retired in 2002. Linda was a member of Coldwater Baptist Church. She is preceded in death by her parents, Frank and Tharon Sinclair and her husband Denton L. Jackson II. She is survived by her son Denton L. Jackson III (Cheryl) of Coldwater; brother-in-law Gene Gatewood of Atlanta, GA; sister-in-law Ethel Ferguson of Coldwater, MS; grandchildren Denton L. Jackson IV of Coldwater, Sarah Davis (Josh) of Memphis, TN and Jeremy Isome (Amy) of Senatobia. She is also survived by 2 great-grandchildren Rebecca and Caroline Isome in addition to several nieces and nephews. Visitation will be from 5:00 – 7:00 p.m. Friday, February 8, 2019 at Pate-Jones Funeral Home. A graveside service will be held at 3:00 p.m. Saturday, February 9, 2019 at Bunker Hill Cemetery. In lieu of flowers, the family request memorials be made to The Dent Jackson Memorial Endowment through the Foundation Office at Northwest MS Community College.